This Just In: New 1/43 Pics – Guess What’s Still Missing? HINT: Rhymes with “Cat Tray Snipes”. Yep, hats off to Mattel again for skipping the extended Batray striping on another otherwise pretty nice model. Thanks to PMB! 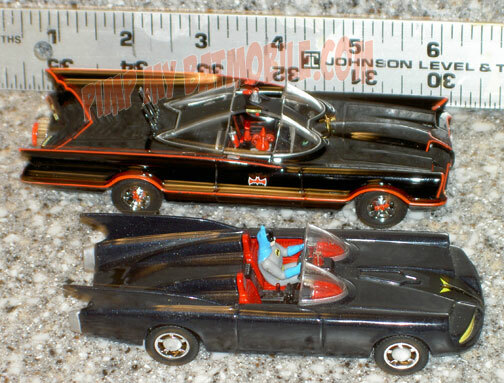 friend John Lemay for sending us these shots of his freshly-delivered-from-China 1/43 Batmobile. According to John, the bat-radar and antenna were shipped separately bagged from the car. Chances are that won’t be the case with the final packaged production model. Hey maybe cheap diazepam online check that baggie for the missing bat-ray stripes too! Ah well. Still a very nice looking 1/43 model. Looks just like a shrunk down 1:18 standard which is uh, good I guess. Though I am getting a bit sick of that juvenile-looking undercarriage. Now if we can just shrink Doug from Insane Detailing down, we can offer replacement parts for this scale too. It may not have batray stripes but it looks like they corrected the rear canopy! Yippee!!!! 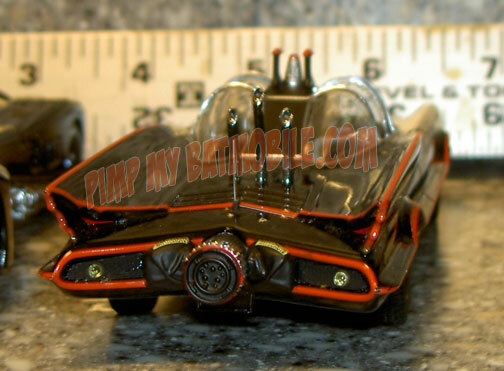 I would love the 1:87 Batmobile if it’s still available. And I’d like to talk to you about ordering wholesale display cases. i need specific designs. 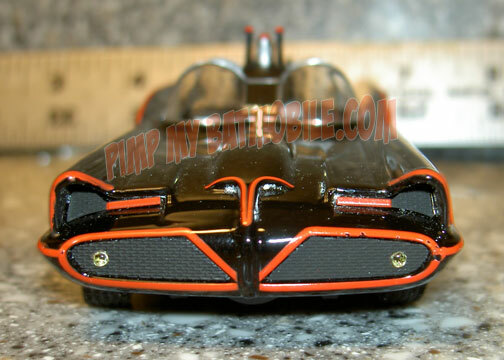 Anyone interested in these 1/43 Batmobiles (or the new Elite Batcycles, Matte Black 1/18 Batmobiles, or 1/18 Chrome Batmobiles – one of our site sponsors – Replicarz has them available. Ask for Brian and tell him Scot from PMB! sent you. Click on their banner ad near the top right-hand side of our site.